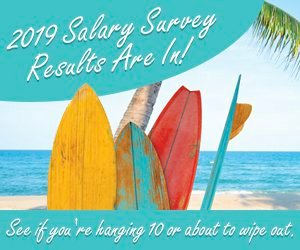 Home / Articles / 2010 / 2010 Salary Survey: Readers Respond -- How has compensation changed? For the first time since the survey was established in 2005, the average salaries reported by respondents declined — from $107,804 in 2009 to $97,554 this year. Until now, average salaries have steadily increased. In 2005, the average salary was $85,234; in 2006, $89,690; in 2007, $90,038; and in 2008, $95,231. (Table 1). Small percentage declines in those reporting annual incomes within the $115,000 to $125,000 pay ranges and increases in those earning $80,000 to $95,000 account for the decrease in the average salaries reported. A total of 1,827 respondents participated in this year's survey. That's second only to 2007 when 1,830 people answered our questions. Since mid-January, respondents accessed the survey questionnaire via a link listed in the print edition of Chemical Processing, on the www.ChemicalProcessing.com Web site, and in e-newsletters and e-mail blasts sent to readers. Additionally, those who follow Chemical Processing on Twitter at Chem_Processing and Facebook at Chemical Processing Magazine were also encouraged to participate.